Never Diss' your Ability, Autism is Awesome'ism. Be touched, moved, and inspired by an amazing story of courage, and determination. Taught by someone who transformed his disability into a unique ability, and has touched millions of people affected by autism. Tyler McNamer is an author and motivational speaker. Although he was diagnosed with autism at the age of 2, he learned to overcome his challenges and embrace the unique perspective he could offer the world. It is this attitude that makes him a role model, particularly for those with autism or who may be perceived as being different. As Tyler puts it, I have been blessed with autism my entire life. I have chosen to accept my label of autism not as a disability, but as an extraordinary ability. Knowing that this viewpoint could help those who struggle with being different, Tyler decided to write a book to inspire others. At the age of 17, he published Population One: Autism, Adversity, and the Will to Succeed.This remarkable book details Tyler s life with autism while encouraging others to overcome their own challenges and accomplish their dreams. Today Tyler attends college while continuing to focus on his goal of helping others achieve success. 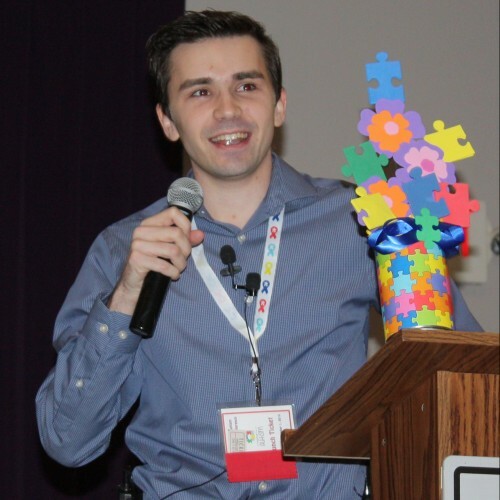 Having emerged as an up-and-coming voice in the autism community, he entertains tens of thousands of people at schools, organizations, and communities all over the country as a motivational speaker. When Tyler isn't in school or at a public speaking engagement, he can be found working on his second book and a screenplay. Part memoir, part inspirational guide, Population One: Autism, Adversity, and the Will to Succeed is a groundbreaking book that offers readers the ability to see life through the eyes of a young man with autism. Written by Tyler McNamer at the age of 17, Tyler not only details his challenges, but he also offers hope and encouragement to others who face seemingly insurmountable obstacles. Whether you re an educator, a family member of someone with autism, or simply looking for inspiration, you ll appreciate the opportunity to step inside this remarkable young man s mind. As Tyler explains, I've been called a retard, dumb, and disabled. I've been bullied, picked on, and made fun of. They put me in special classes and told me that I should not expect to reach my goals. Yet rather than view his diagnosis negatively, Tyler considers his unique viewpoint a gift. It is with this perspective that he wrote Population One: Autism, Adversity, and the Will to Succeed. In this memorable book, Tyler details his experiences with bullying, isolation, and others low expectations of him. But rather than allowing himself to be limited by his autism diagnosis, this courageous and insightful young man rose above his challenges to encourage others to follow their dreams and become leaders in their own lives. The result is this book, an autobiographical recounting of Tyler's journey with diverse essays containing his thoughts about leadership, courage, and adversity. Wise beyond his years, Tyler concludes that despite our differences, we can become a population of one, uniting to serve others. If you want to be uplifted or understand someone with autism better you must read Population ONE. This inspirational and engaging book will transform the way you view the world. Find out more about Tyler McNamer at http://www.populationone.com.